U.S. bank stocks are getting dumped like it's 2011. Shares of Bank of America (BAC) and Morgan Stanley (MS) plummeted by 13% apiece in the two days after the shocking Brexit vote. Even though banks and the broader markets are rallying on Tuesday, Goldman Sachs (GS) is still down 22% this year. That makes the elite investment bank the worst Dow stock in 2016. Things are so gloomy for financials that the KBW Bank Index that tracks 24 banks recorded its biggest two-day decline since August 2011, according to FactSet stats. Recall that five years ago was last time investors were seriously questioning the future of the European integration experiment. The rush to sell financial stocks is a reflection of the huge challenges facing big U.S. banks these days and the Brexit vote is only one of them. Rate hike hopes dashed: The most glaring problem is that rock-bottom interest rates are likely to stay there for some time after the shocking U.K. referendum to leave the European Union. Economists and investors are already dramatically scaling back the odds for the Federal Reserve to raise interest rates this year. That's really discouraging for banks, which make money on the difference between the amount of interest they pay out depositors and what they charge borrowers. Anemic rates leave little room for profits. Bank profits could be "lower for much longer than anyone even fathomed," said Troy Gayeski, partner and senior portfolio manager at SkyBridge Capital. Forget raising rates. Gayeski and others think there may be a better chance of rate cuts from the Fed, which not long ago had been planning four hikes this year. Related: Brexit crash wiped out a record $3 trillion. Now what? Dragged under by Europe: U.S. banks are also getting caught up in the global Brexit storm that is seriously rocking European lenders. American bank stocks don't look as bruised as London-based Barclays (BCS), which lost more than one-third of its value in the first two days after the Brexit results. 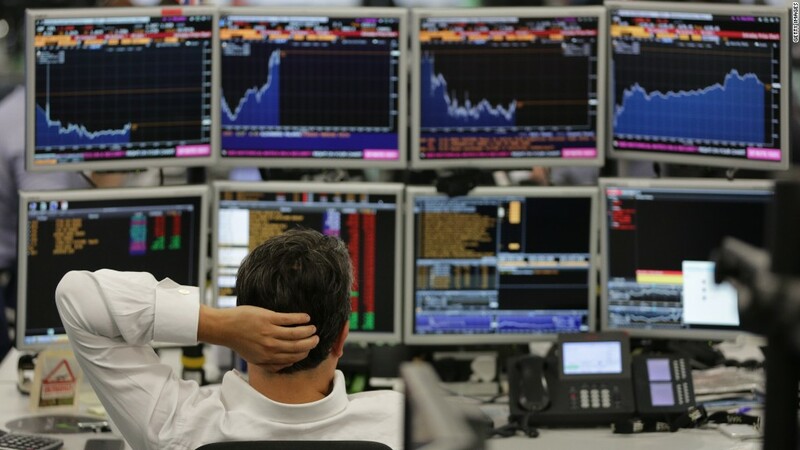 Royal Bank of Scotland (RBS) and other European banks are also down sharply, despite rallying on Tuesday. "U.S. banks are extremely well capitalized and can withstand far more damage than in 2011. But the potential for contagion from European banks is becoming more real now," said Gayeski. Market turbulence: Brexit has caused serious market turmoil, with $3 trillion erased from global stock markets in two days alone. Higher volatility often hurts banks because it means diminished trading volumes and revenue. At the same time, Brexit is likely to dent investment in the U.K. and perhaps Europe more broadly. Less capital spending, which is already struggling, means lower underwriting fees for banks on debt and stock offerings. The same goes for M&A revenue. The loss of confidence by business leaders is likely to lower the appetite for big deals that investment banks advise on. Billionaire Richard Branson has already revealed how Brexit killed a significant acquisition he had in the works. Drowning in regulation: Big banks are grappling with a mountain of rules implemented in recent years to prevent a repeat of the financial crisis. Love them or hate them, regulation has clearly dented profitability and led to an increase in expenses. The good news is that U.S. banks look a lot safer these days after being forced to bulk up on capital. All 33 banks stress tested by the Federal Reserve last week passed the exam meant to show how they'd hold up in a deep recession. Buying opportunity? At some point, banks will look cheap enough for bargain hunters to scoop them up. But it's important to remember banks look cheap for good reason. And the Brexit situation inserts an even greater element of uncertainty that makes it hard to determine how much these stocks are truly worth. Investors may have to wait for the dust to settle first. "It's still too early to pile into the financials," said Jeff Kleintop, chief global investment strategist at Charles Schwab.